The daily grind never seems to ease up, and often times keeping up with our schedules is a job within itself. 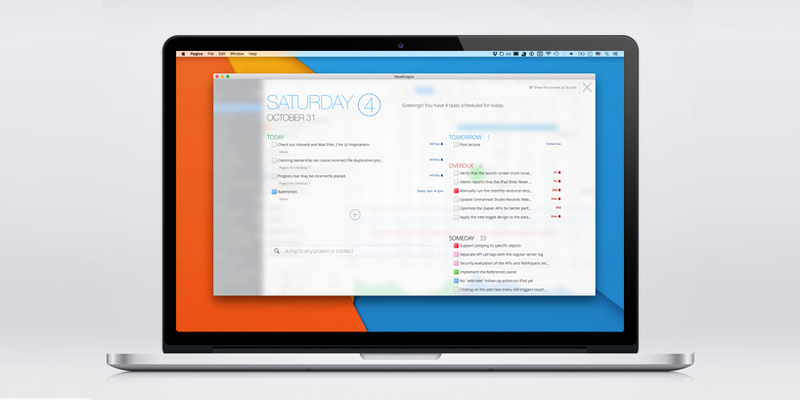 But help has arrived, and now you can confidently execute your scheduling and tasks with the help of Pagico 7, the perfect organizational tool for your Mac. You can get it on sale from TNW Deals for just $15 for a limited time. Pagico 7 is the only planner you need to stay on track in today’s distraction-heavy digital world. You can easily browse data and archive old information to stay on task with what’s ahead of you. Process information in a manner tailored to your preferences, whether visualizing your workload, turning lists into flowcharts or merely tracking your task deadlines and progress within a project. With its visually appealing design, you’ll be able to see your schedule at a glance and know exactly what’s going on. Never miss another meeting or appointment again – get Pagico 7 on sale from TNW Deals for just $15. That’s a 70 percent savings off the retail price. EasilyDo is the single greatest personal-assistant app you’ll ever need. Its capabilities span all areas of life, from saving a new contact’s information right into your Contacts app, to letting you schedule ‘happy birthday’ posts to appear on your friends’ Facebook timeline on the appropriate day. And for a limited time you can take a fantastic 90 percent off for a total of just $19.99.